THE FOURTH INDUSTRIAL REVOLUTION HAS ARRIVED AND IT IS DRIVEN BY DATA. The new era of data-driven business is here. The first was sparked in the steam-powered North of England. The second pioneered by British industrialists who recycled World War II computer tech to count teacake sales, inventing ERP in the process. The creator of the third was a British academic, Sir Tim Berners Lee, who brought us the World Wide Web. As the third revolution developed, one key component grew dramatically - data. Today, data analysis is out of the hands of the theorists forever. The smart analysis of data is driving wholesale change in fields from space to automotive, from advertising to logistics thanks to Machine Learning and Artificial Intelligence. What is Britain’s role in this revolution? The largest survey of its kind, developed by an independent panel of industry experts drawn from utilities to publishing, academia to government has provided the answers. 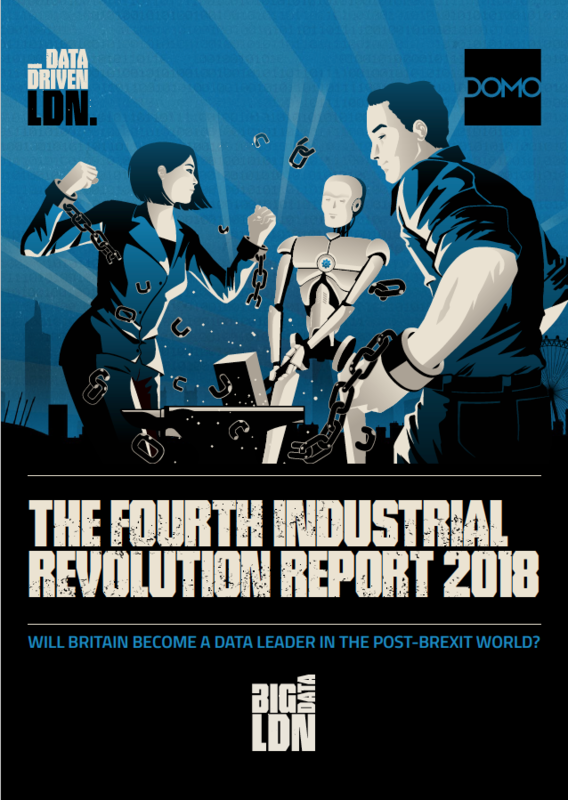 Covering everything from the level of data analysis competence in UK organisations to the Government’s levels of support for the data economy in a period of unprecedented uncertainty, this is the defining research project for those who make their living from data.